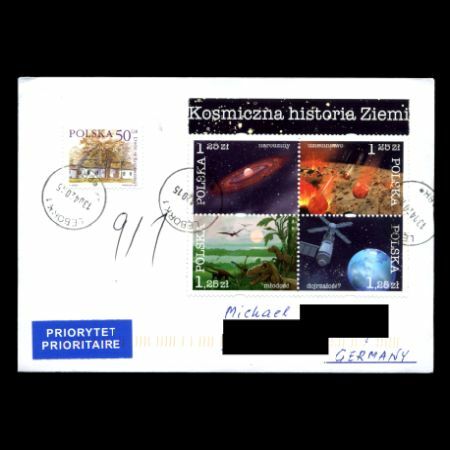 Poland 2004 "The cosmic history of the earth"
The presented set of 4 post stamps shows the turbulant lots of the Earth starting from the origin of the globe to the present day. 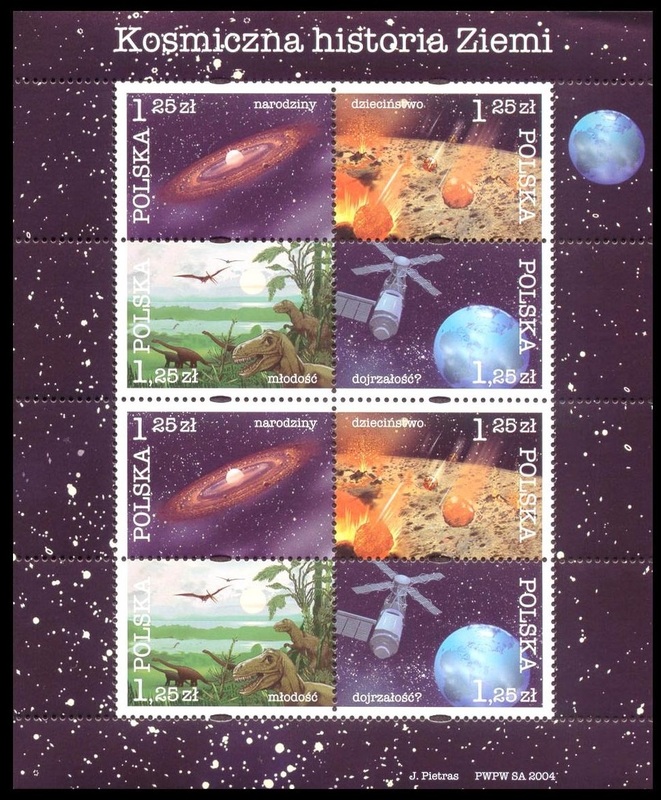 On respective stamps are presented the following stages of the history of the Earth: birth, childhood, youth and maturity. 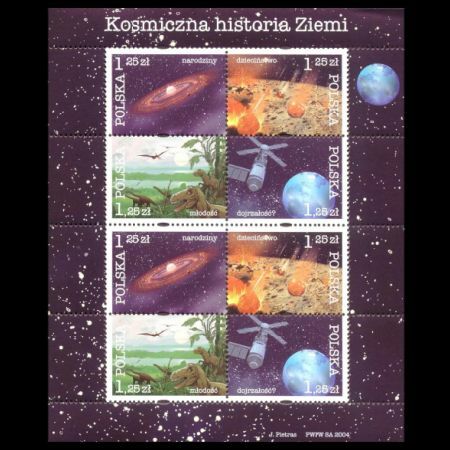 The first of the stamps shows the creation of the earth globe in the protoplanet discus around the young sun. On the other is shown the picture of the earth bombed by asteroids. 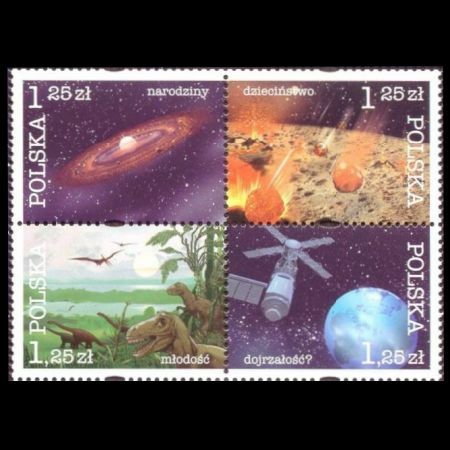 The third post stamp dedicated to the youth of the Earth presents the planet in the times of dinosaurs. On the fourth has been presented the earth globe circled by the International Cosmic Station. 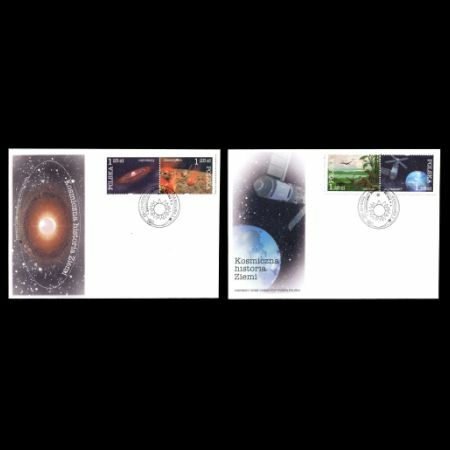 The post stamps of the issue "The Cosmic History of the Earth" issued in the form of special sheetlets with 8 post stamps each. (sold as full or half sheet) The graphic elements inserted on the margin of the sheets make an interesting setting and a complement of the post stamps.